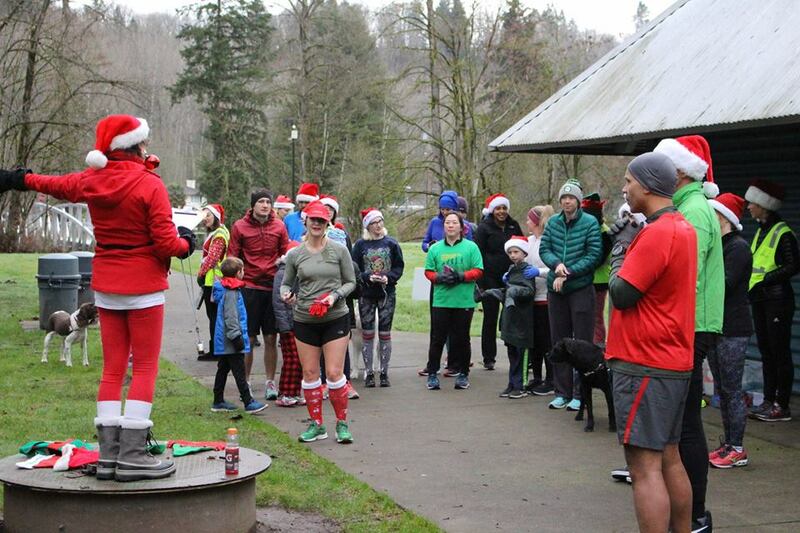 Recently, Cam Kennedy of Renton parkrun was recognized as their “parkrunner of the Month” for being an important part of their local parkrun community. The honor was awarded to Cam on the same day she celebrated her 25th volunteer occasion, thus earning her V25 purple shirt! The purple 25 cape (that she had made months prior, in anticipation of another volunteer achieving their milestone) was hers to borrow for the day, and the hat and tutu were her extra special additions to the outfit. I heard about parkrun from an Australian friend of ours back in 2014. How has parkrun changed your fitness/running? 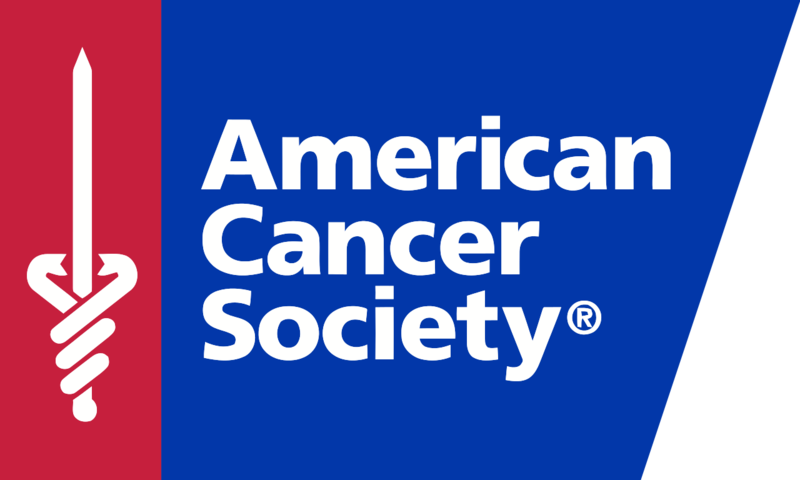 Oh this is a long answer… In the summer of 2015 at age 48 I had a cryptogenic (unknown cause) stroke in my sleep after interval running at the gym for an hour the night before. I was about 3 months into Couch to 5k training at the time. In the aftermath I became really frightened to run, especially by myself, even after the cardiologist cleared me to run, because the two things had become connected in my mind. We eventually adopted a dog and I felt a bit better going out to train with him but the thought that I could keel over at any time still haunted me. 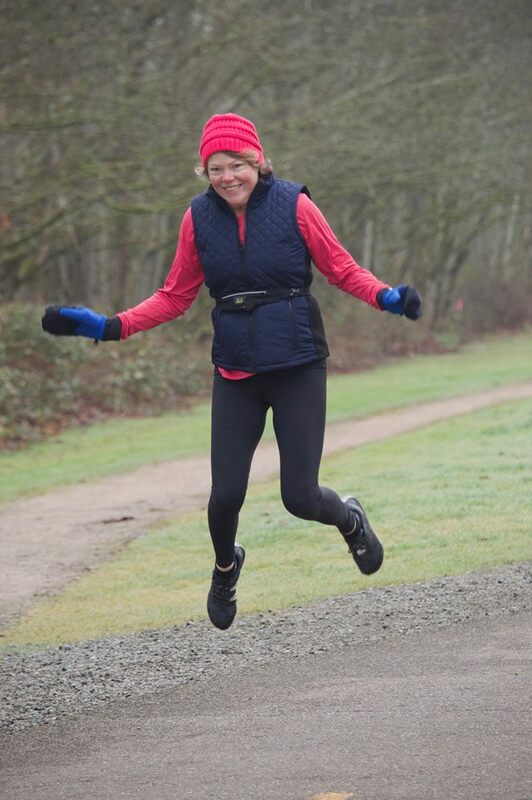 It wasn’t until Renton parkrun got going that I really began to push myself in earnest because I knew if something happened to me on the course I’d be surrounded by other parkrunners. It finally felt safe to run again. Not having an answer as to why I had a stroke means I need to stay on top of all the potential lifestyle risks and parkrun is an excellent way to keep my cardiovascular system strong and healthy. When parkrun started at the end of 2017, my run/walk time for a 5k was around 50 minutes and now I’m consistently in the mid 30’s. Just last week I ran my first parkrun ever without taking walk breaks and my big dream is to eventually post a sub 30 time. 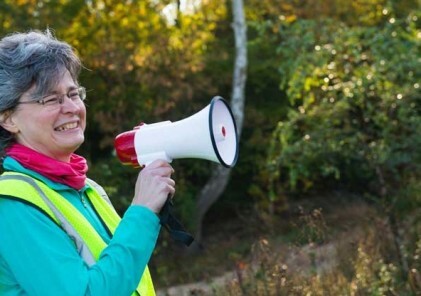 What do you like most about parkrun? The thing I like the most about parkrun is the social aspect. I’m a homemaker so I don’t really interact with many people during the week. One of the prescriptions they give you after you have a stroke is to build a strong social network because they know there’s a big connection between loneliness and longevity. Being a shy person I really couldn’t figure out how to go about that and my Australian friend urged me to look into getting a parkrun going. 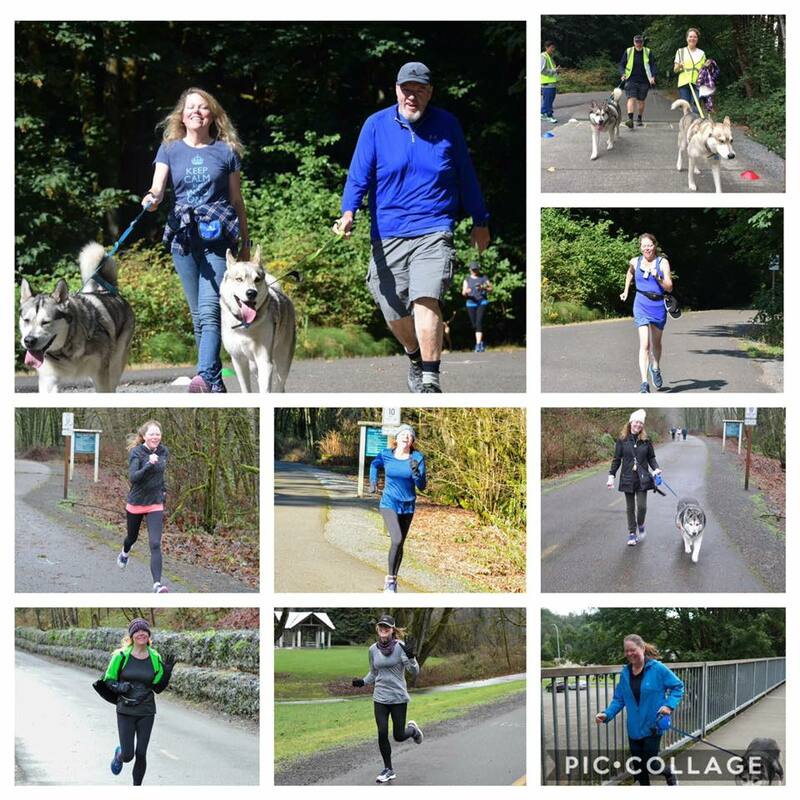 Reaching out to parkrun US and getting connected to the people working to bring parkrun to the Pacific Northwest was really out of character for me but I’m so glad I did it. Believing in parkrun, in its transformative power in people’s lives helps me push past my introverted nature and do things I’d never imagined doing. What is your fondest/funniest memory from parkrun so far? 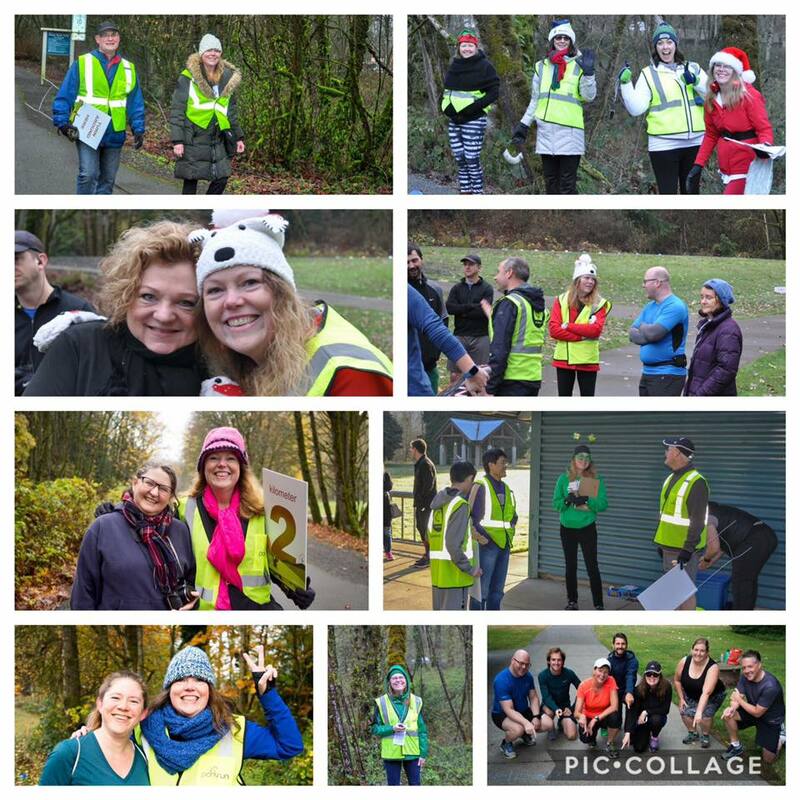 At the end of 2017 I took on the role of run director for the first Renton holiday parkrun. I love the opportunities to get creative at parkruns. The special dress events are my very favorites so I dressed up as a lady Santa Claus and went for it. 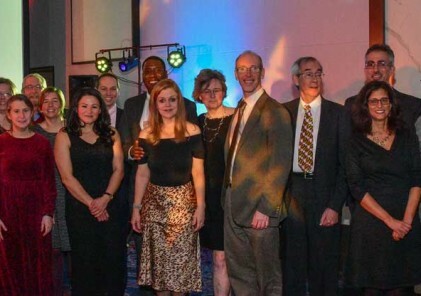 But I’d never ever spoken before a group and added to my anxiety about public speaking was that since my stroke I sometimes have difficulty finding my words (especially when I’m stressed) so I was shaking in my Santa boots. I didn’t sleep at all the night before and when Kortney handed me the run director clipboard I kept telling myself “just read, you can read, the words will be right in front of you, no searching necessary”. So my time on the stump came and I read, and in my nervousness I read really, really fast. It was the fastest run briefing ever given, I’m sure. And, when I was done we had to wait around to start because I’d said it so fast it wasn’t even 9 am yet. 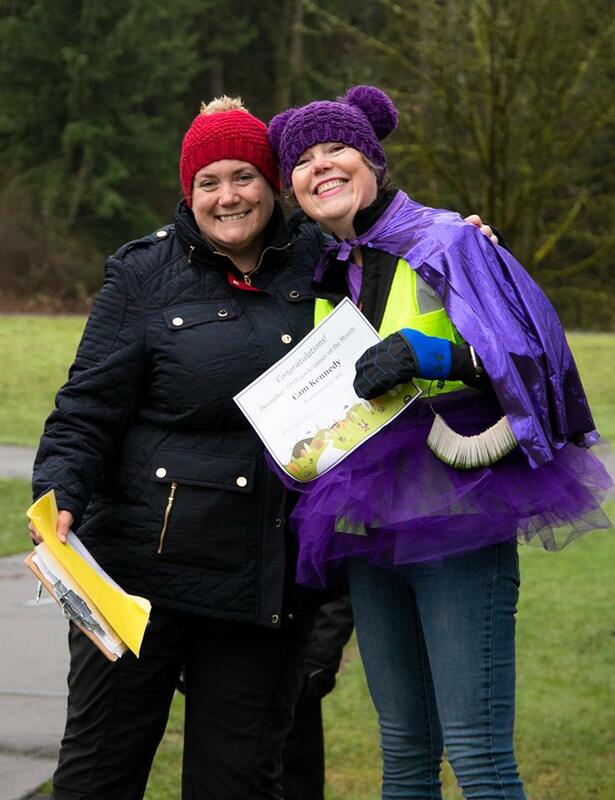 But, I’ve done it three more times since and it’s become more enjoyable every time, just like participating has, and I can’t imagine my life without parkrun Saturdays and my awesome Renton parkrun family. Note: Cam earned a PB at last weekend’s parkrun. You can see a photo from the moment she found out her time in this week’s roundup.